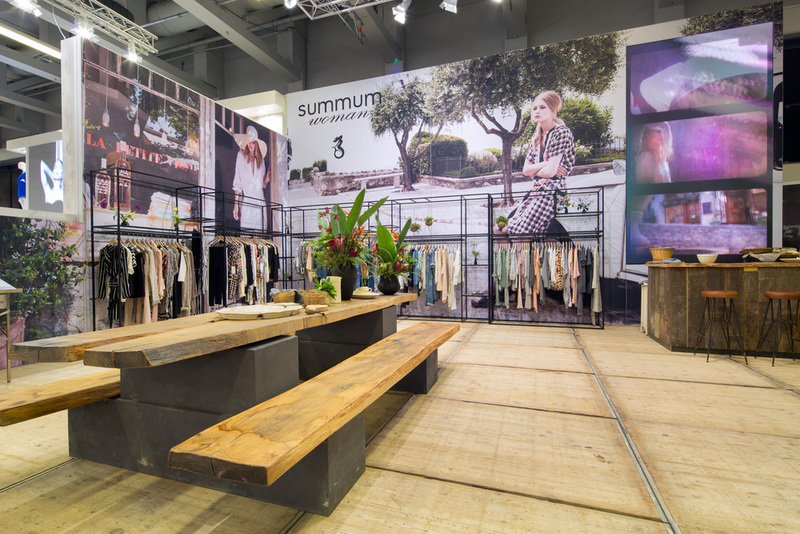 The latest stand on the Modefabriek 2016 for Summum on the Amsterdam RAI. Styled with a large LED wall with four seperated panels playing content in full screen and divided over the panels. At the Bronckhorst Symposium in Veldhoven we built this stand for our client, Boehringer. This stand was equipped with a LED Wall and Digital signage. 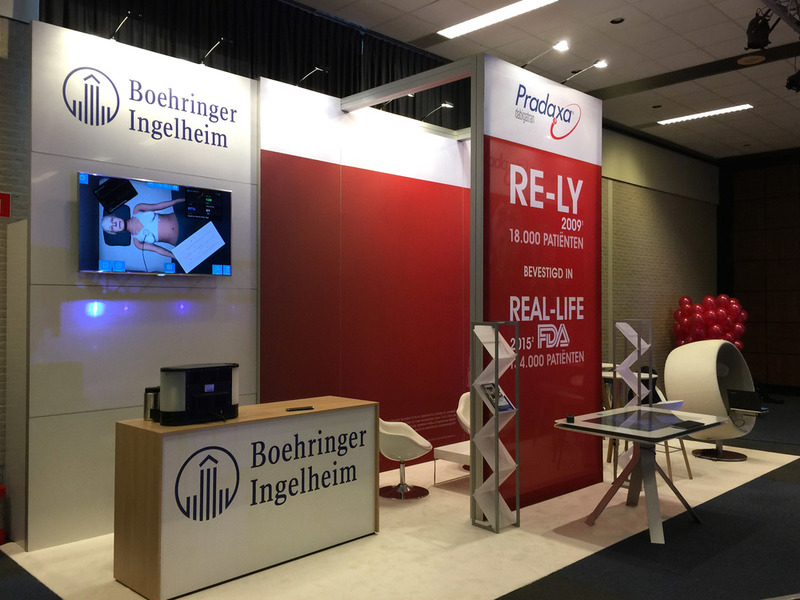 For our client, Boehringer on the NVVC congress we built this stand. The stand is equipped with a large touch-table where visitors can play an interactive game. For our client, Bravilor, together with our OSPI partner; CEP Exhibits, we've built this stand on the NACS in Las Vegas. For our client, Ferring, we built this stand on the NVGE Congress in Veldhoven. In close cooperation with our OSPI partner from the US; Derse, we created this stand on the IBC 2015 in the the Amsterdam RAI for Verizon. Onze designer Tom te Buck heeft een promo video gemaakt over hoe wij te werk gaan. In anderhalve minuut legt hij grafisch uit hoe wij ervoor zorgen dat u een succesvolle beursstand zult hebben. 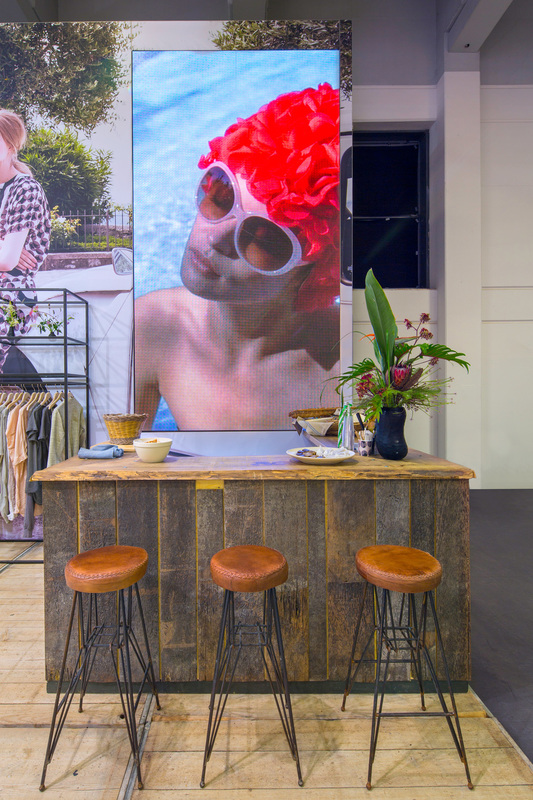 Summum - Modefabriek Amsterdam & Panorama Berlin - Fall edition. 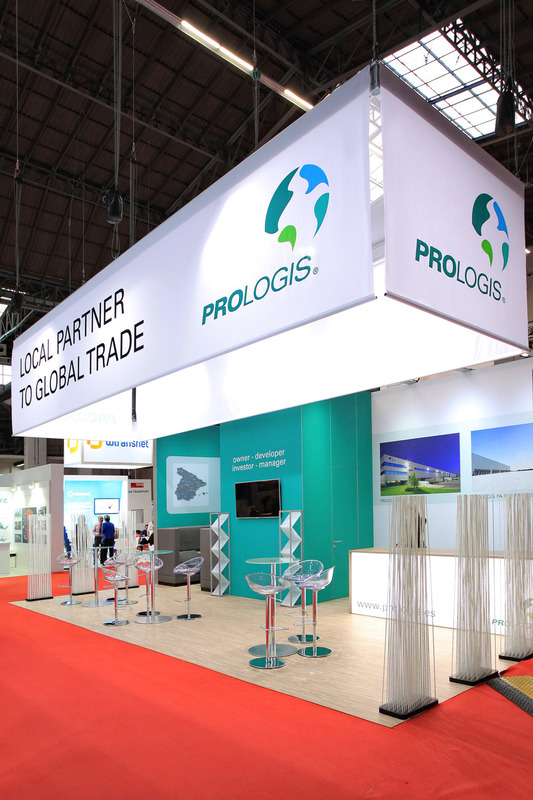 For our client, Prologis, we built this stand on the SIL show (2015) in Fira Barcelona. For IAI we built this small but fresh looking stand with LED lit showcase on the Intergraf in Copenhagen. For our client, Bravilor, together with our OSPI partner we built this stand on the NAMA in Las Vegas last week. On the Hotelex Fair in Shanghai, in cooperation with our OSPI partner we built this stand for our client; Bravilor. For Transcontinental we built this stand on the Professional Imaging fair 2015 in 'De Loods', Nijkerk. For Canon we built this stand on the 2015 Professional Imaging fair in 'de Loods', Nijkerk. For our client Flir we built this stand on the Middle East Rail in Dubai in co-operation with our local OSPI partner. This week we will be at booth 2020 on the Exhibitor show in Las Vegas with our own stand! We built this stand in collaboration with our OSPI partner in Las Vegas. Will you be at the Exhibitor this week? Please don't hesitate to visit our booth and meet us! For our client WIJ Special Media and partners we've built this stand on the Negenmaanden Beurs (Nine-months fair) in the Amsterdam RAI exhibition center. For our client, Opticon, we built this stand on the Integrated Systems Europe (ISE) 2015 in the Amsterdam RAI exhibition. It stands out because of the video communication through the vertical screens on the sides of the stand. The neon lighted text on top of the stand makes it extra visible on the exhibition. Also the product displays with lighted fabrics makes the stand more vivid. Excellent example of a small space, more stand! 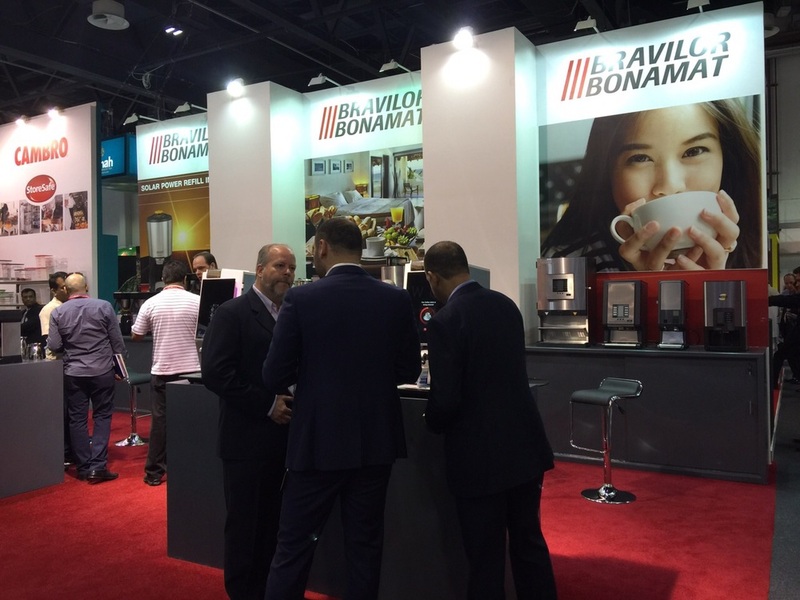 For our client, Bravilor, together with our OSPI partner in the United Arab Emirates we built this stand on the Gulfood 2015 in Dubai.